THREE brothers enlisted. Two never returned. 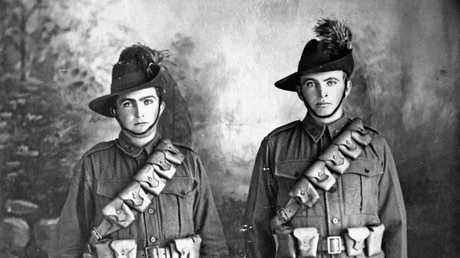 In 1915 Lieutenant Frederick Garnet Farlow (Fred), Trooper Harold (Harry) Hamilton Farlow and Trooper Merton Glen Farlow - all sons of Lower Clarence pioneers Charles and Julia Farlow - joined the 11th Light Horse Regiment and set sail for the Middle East to fight for our sovereignty in World War I. After he survived the last six months of the Gallipoli campaign, Fred was offered a promotion to serve on the Western Front but declined in favour of the Middle East Light Horse to join with his two brothers. 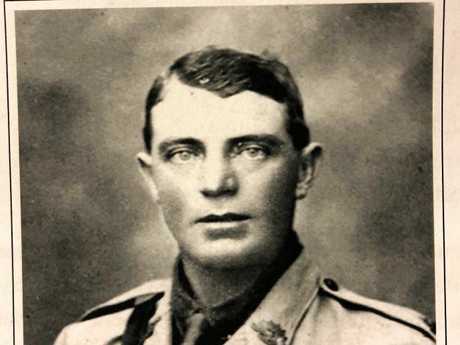 He won a Military Cross for storming an enemy machine gun outpost at Maghara, where he "led his troop with gallantry and skill", on October 15, 1916. In April 1917 the regiment moved into Palestine and joined its first major battle on April 19 at Gaza. After Gaza fell on November 7, 1917, Turkish resistance in southern Palestine collapsed. The 11th Light Horse moved into the Jordan Valley in time to participate in the Es Salt raid between April 29 and May 4, 1918. The operation progressed well initially with Es Salt seized by the evening of April 30. Determined Turkish resistance eventually forced a withdrawal back on May 3. Harry was badly wounded in hand and head and deemed to be killed in action on May 1, 1918, but his body was never recovered. One eyewitness described how the wound to the head exposed both brain and bone. He was lying quietly when they left him and it was generally supposed that he could not live. One eyewitness said "we had to retire about two miles which made it necessary to leave him and we never went over the same ground again". In August, the regiment was issued with swords and trained in traditional cavalry tactics, and on September 25 displayed its versatility at Semakh by first charging the Turkish defences on horseback with swords drawn, then clearing the town on foot, with rifle and bayonet. As they approached the south of Semakh just before dawn, the forward troops were heavily fired upon, and Fred was killed in action. Merton later recounted to his father they had witnessed his brother fall. The town was captured by 5.30am. Three Australian officers had been killed alongside 11 of their men, in comparison to 98 enemy troops killed, and 364 prisoners taken, including 150 Germans. It was the last significant battle of the Middle East before the Ottoman Empire collapsed, the Turks surrendered on October 30, 1918 and so was created the legend of the Australian Light Horse. Merton returned. His daughter is well-known Maclean local, 94-year-old Joyce Watson. 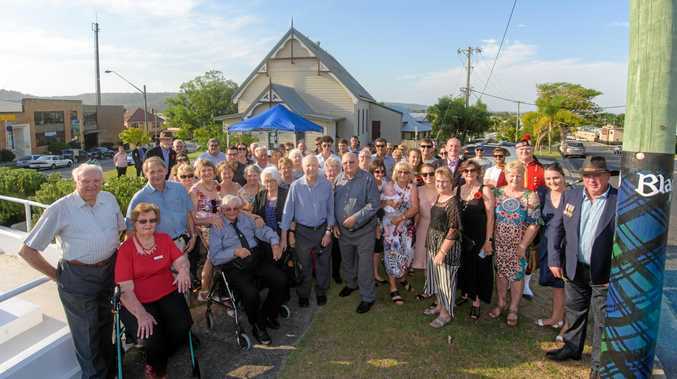 Her nephew is NSW Cane Growers Association president Ross Farlow. "My father was a successful man who was also a provider to us and we always had standards in our house," Mrs Watson said. "To this day we still have standards; reputable citizens who leave the place better than we found it." Both Harold (Harry) and Frederick (Fred) were married before enlisting. Six weeks after they sailed for overseas service, Fred's wife gave birth to a daughter Merle whom he never saw. She grew up a fine woman and later married an American serviceman and went to live in America. Two of her children Peter Desmond and Janice DiRomualdo travelled from Pennsylvania and Florida to unite with relatives who, until recently, they did not know existed. Last Friday, 83 members of the Farlow family attended a Last Post Ceremony for Fred and Harry at theAustralian War Memorial. 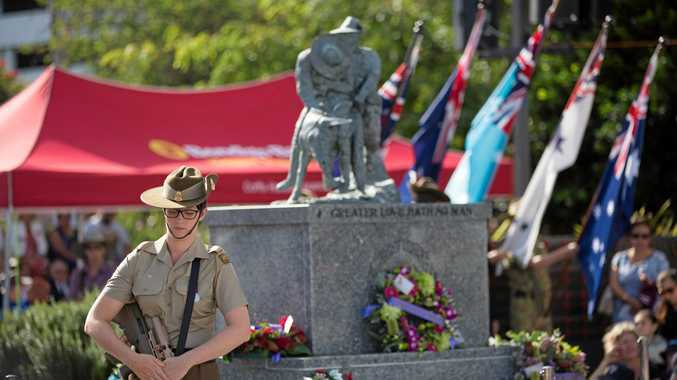 On Wednesday another commemoration service was held locally at Maclean cenotaph.